Vancouver Biennale International Artist Residency PRogram participant Seung Woo Back is exhibiting at Centre A this month. We highly recommend this event which focuses on themes inherent in Seung Woo Back’s work, particularly his residency project Cross Vancouver which can been seen exhibited at transit shelters around the city now. Centre A welcomes architect Joe Wai, urban planner Nathan Edelson, community builder Doris Chow, academic/community activator Melissa Fong and others to engage in a conversation specifically addressing the challenge of 105 Keefer as we reflect on past experience and contemplate ways forward for Vancouver’s Chinatown. Vancouver has been a diverse city since its very inception. Experiences of linguistic and cultural diversity in BC urban environments have been mentioned in writing ever since the days of the gold rush. For the most part the story has surrounded the co-habitation struggles between a largely Cantonese/Toisan speaking Chinese community and a predominantly English speaking European community. Over the decades, as these communities have struggled over the bounty of colonial exploitation, it can be said that the English speaking European community held the upper hand. However, at the same time they expressed a persistent anxiety that if not made subject to moderation, control and even exclusion, the Chinese community might one day overwhelm the English speaking community’s perch of cultural power. A product of this anxiety and the struggle for Chinese community’s survival despite racist pressures is Vancouver’s Chinatown. It is unique both in urban experience and in built form. The era that, through racist policies, contained a community and produced Chinatown has passed. Today, Chinese businesses, residences, and cultural and linguistic expressions can be seen prospering throughout the metro area. However, Chinatown remains a site of linguistic and cultural diversity and its heritage is expressed as much in the people who populate the Goldstone Cafe as it is in the neighbourhood’s built form. With the emergence of more professionalized urban planning after WWII, in the 1960s and 70s, Chinatown found itself having to struggle against public policy aimed at its destruction. Through the 80s, 90s and early 2000s, while Chinatown faced decline and a host of related problems, the City of Vancouver made accommodations and sought ways to acknowledge and celebrate this unique aspect of our urban environment. Today, in the throes of a seemingly never-ending condo-boom, Chinatown faces new challenges to its social and architectural make up. Recent activism has been focused on a proposal by the Beedie Group to develop a condo tower at 105 Keefer across from the Dr. Sun Yat-Sen Garden. Many community members have not been satisfied with recent condo developments along Main Street and see the current proposal to develop 105 Keefer as a “red line” that if crossed will mark the moment when Chinatown was demoted to the status of a gentrified tourist and real estate marketing commodity; a significant loss in the cultural diversity and heritage of Vancouver. 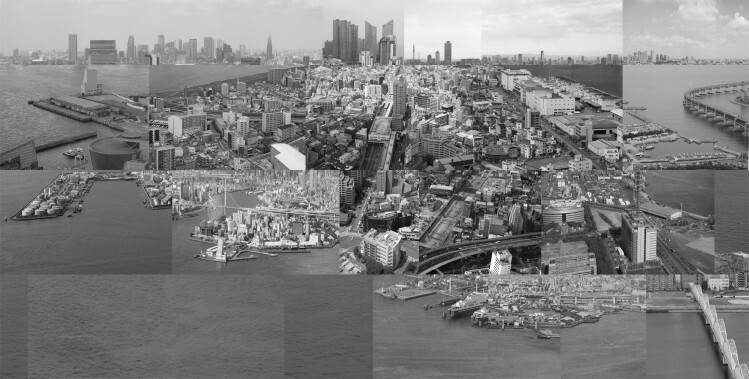 With the backdrop of Walking On The Line, Seung Woo Back’s ongoing exhibition at Centre A that explores archive, urban form and trends of standardisation, we invite a public conversation to discuss the current challenges facing Chinatown and our approaches to heritage, diversity and urban change. Joe Wai is a Vancouver architect who has been actively engaged with protecting and promoting the community and the culture of Vancouver’s Chinatown since the mid 1960s. His imprint on Chinatown is undeniable. Along with being the architect of the Dr. Sun Yat-Sen Classical Chinese Garden, the Chinatown Millennium Gate, the Chinese Cultural Centre Museum and Archives, the Chinatown Parkade and Plaza, and the Commemoration of Block 17, Wai has been involved in the many restorations of the neighbourhood’s historical Society buildings. Known for his activism, Wai got his start volunteering with the Strathcona Property Owners and Tenants Association (SPOTA), saving numerous families from the perils of land expropriation and demolition, while weaving fifty some homes into the neighbourhood. Not just limited to Vancouver’s Chinatown, Joe Wai’ s architectural career has spanned over 50 years and two continents. He worked with both Arthur Erickson and Thompson, Berwick and Pratt in Vancouver as well as Denys Lasdun and Partners and the Greater London Council in London, England. In 1978 he established Joe Wai Architects. His practice is focused on community development, and beyond his numerous projects in Chinatown with Hynes Developments, he has been involved in the acclaimed Seylynn Village project in the District of North Vancouver. Nathan Edelson is a Senior Partner with 42nd Street Consulting which supports inclusive planning for diverse communities. He has worked on projects linking government and community organizations in a variety of settings including Delta, Fort Saint John, Haida Gwaii, Johannesburg, Regina, Sao Paulo, Toronto and Vancouver. He is also an Adjunct Professor with the University of British Columbia’s School of Community and Regional Planning and a Bousfield Distinguished Visiting Scholar at the University of Toronto. He was Planner with the City of Vancouver Planning Department from 1983 to 2008. For 15 years, he was the senior planner focusing on the many challenging issues facing the Downtown Eastside – including historic Chinatown, Gastown, Strathcona and Victory Square. Prior to that, he was the planner for Downtown South, Granville Street and the Joyce Station SkyTrain area (Collingwood Village). He also led initiatives on the Central Area Plan, Secondary Suites and Liquor Licensing Policy. Before joining the City, Edelson was the founding Executive Director of Little Mountain Neighbourhood House, a community-based social service agency. Through this work, he has managed the development of innovative Community Building policies and programs involving Arts and Culture, Economic Revitalization, Health Care and Social Services, Heritage Conservation, Housing, Public Safety and Public Realm Improvements and Programming. On many initiatives this has involved extending the municipality’s zoning, permitting, policing and purchasing powers to support community identified objectives. A co-founder of the Youth Collaborative for Chinatown and a board member of the century old Hoy Ping Benevolent Association of Vancouver, Doris Chow is a community builder with deep Chinatown roots who has been actively involved in social activation and heritage preservation efforts in the neighbourhood for nearly a decade. Also actively involved with human rights and social justice issues in the broader neighbourhood, Chow is the manager of the Downtown Eastside (DTES) Kitchen Tables Project with Potluck Café Society, through which she successfully launched the first non-profit food buying group in Canada. Chow holds a Bachelors degree in Sociology and a certificate in Community Economic Development. Melissa Fong is a PhD Candidate at the University of Toronto in Planning and Geography. She is investigating revitalization planning in Vancouver’s Chinatown with the support of the Social Sciences and Humanities Research Council (SSHRC) Fellowship. Her research interests include gentrification, spatial regulation of the dispossessed, and equity politics. She is also interested in applying the lens of critical race theory and intersectional analysis as basis for her research methodology. Most of her recent work has focused on the racialization of urban inequality and displacement. Fong is also a post-secondary educator and advocate for special needs education. As a former middle and high school teacher, she became passionate about equity education. She is an advocate for accessible education and curricula reform to meet the needs of marginalized students.